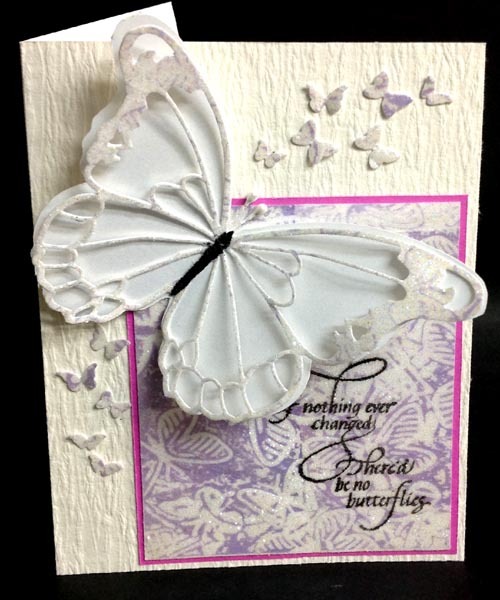 I used both pieces of the glittered background for this card, one for the butterflies and one for the background for the quote. I side folded my white 5"w x 7"h card. Adhered a piece of textured cardstock (Ruche) edge to edge. So as per video, I embossed a piece of Shimmer Sheetz (color: mauve Iris) using Craft Concepts "Wings" folder. I then applied 6"wide Sookwang tape onto 110# white cardstock. Removed the release paper and pressed my embossed Shimmer Sheetz onto the sticky surface. Used a rubber brayer to press/burnish the Shimmer Sheetz onto the sticky surface. Then carefully pulled the Shimmer Sheetz away from the sticky surface, leaving the "Iris" layer on the sticky surface. Sprinkled Glitter Ritz micro fine glitter "Warm Highlights" all over and burnished well. Returned the excess glitter to the jar. Did this same process with the other side of the Shimmer Sheetz. 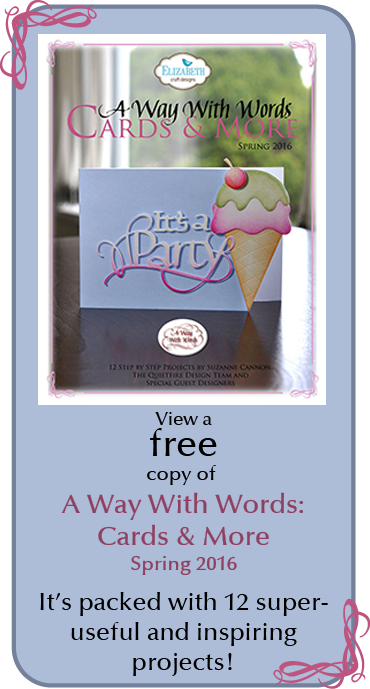 PS you get 3 workable pieces that can be used in various ways on cards. The other background I die cut the LARGE butterfly (Memory Box "Finn"), it has a 5" wing span so it's large... Cut the solid underneath piece from white pearlescent cardstock and adhered the two elements together at the body only. Then used a black Sharpie pen to color the body. Added some pearl tipped stamen for the antennae. I had some left over areas on the glitter sheet so die cut a bunch of mini butterflies using the drop outs from the Memory Box "Butterfly Delights". Lovely card Yogi. I will have to look up that technique and try it. lovely. must look into more glitter! Love all those little butterflies! 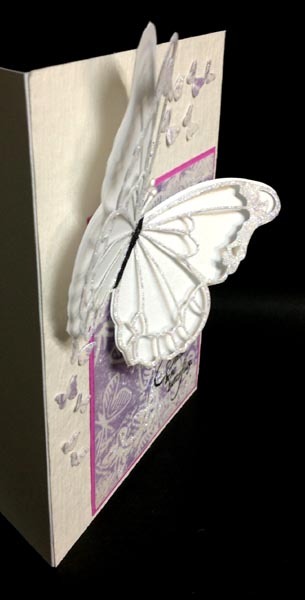 your card really spoke to me cause I love butterfly's.